Search For "Shopping & Stores" Companies in Newport News, Virginia - Click Here Now! Sarah's Super Center Is A legally Licensed Retail Store, Located In Newport News, VA , that Sells General Merchandise To Consumers And Businesses. We Pride Ourselves In Providing Quality Products At Affordable Prices. We Value Your Business. That Is Why We Make Customer Service Our Top Priority. Your 100% Satisfaction Is What We Strive For. 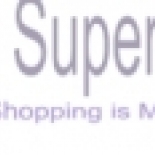 Sarah's Super Center in Newport News is a company that specializes in Department Stores. Our records show it was established in Virginia.